Buffalo State is now offering a new, much-needed graduate program: Teaching English to Speakers of Other Languages, or TESOL. Students who complete the program will earn a Certificate of Advanced Studies. Participants who complete the five-course program and a final practicum (student teaching) will gain an understanding of how people learn a new language and how multilingual children and adolescents can be most effectively taught so that their learning is enhanced. 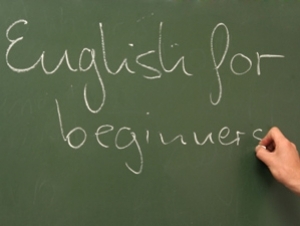 By combining close study of second-language acquisition theory with pedagogical theory and practice specific to teaching ENL learners, teachers can help students improve their English language skills both in and out of the classroom while making the content knowledge required in all New York schools more accessible to speakers of languages other than English. In presenting the proposed program to SUNY and to the New York State Education Department, Buffalo State noted that the TESOL program supports one of Buffalo State’s core values: service to the community. It is also an outgrowth of the burgeoning demand for ESL-certified teachers that the partner schools in Buffalo State’s Professional Development School Consortium have identified as a most urgent need. “Learning how to understand, speak, and write English has always been a critical step for new immigrants and refugees who aspire to successfully enroll in college and to achieve their career aspirations, values we hold for all of our citizens,” said Paterson. TESOL is an initial teaching certificate, but it must be taken after teachers attain a base certificate at the elementary and/or secondary level. Teacher candidates in this program complete 50 hours of fieldwork as well as 20 days of student teaching divided between the elementary and secondary grades. Classes began on January 25, and coursework will be offered in the evenings. To be accepted into the program, students must have a bachelor’s degree and meet other requirements. For more information, contact the School of Education at (716) 878-4215.